Without this rock there would be no first book in the Warriors of the Sun series. We so often base our knowledge on the journeys of Odysseus, we pull strength from the adventures of Thor and wisdom from the musings of Vishnu, but we rarely quench our thirst with the wealth of stories that spring from the first peoples of North America. When I searched Dutch libraries, I couldn’t find a single book that showed Dutch children the true cultures of the United States and Canada. It urged me to write the Warrior Of the Sun series. Research for the series brought me to the lands and tribes of North America. I wandered the desert and the mountains in search of Thunderbird and Coyote. My Diné guide in the Navajo Nation took me to sacred places like Tséyi, the Canyon De Chelly. We were hiking down into the canyon when out of nowhere the darkest shadow fell over us, as if Thunderbird blackened the skies with his gigantic wings. With each wingbeat a thunderclap roared through the canyon, ricocheting off the cliff walls. A heavy rain flash flooded the canyon and chased us to higher grounds. Seeking shelter in a narrow cave, my guide told me the story of the Twin Warriors and their quest for their father, the Sun Spirit. 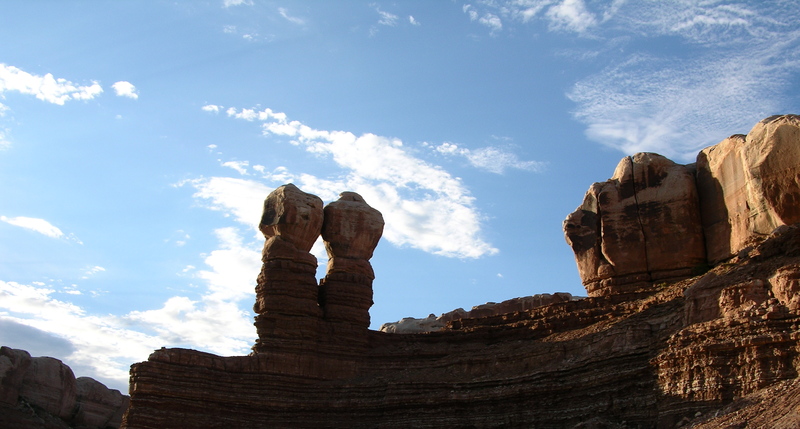 Only days later, I found myself sitting on a dusty red rock near Bluff in Utah, staring at the Twin Warriors. I knew then the first book had to be about their quest. The Warrior of the Sun series is only loosely based on original myths and legends. I have not tried to accurately retell them, just like sand paintings that are sold to the public do not depict the entire sand painting to protect the sacredness of the original. I leave that precious task to the tribes storytellers. I started the first book with the quest of the Twin Warriors, because coming-of-age stories speak to all children and occur in all cultures. To make the myths more accessible, I have chosen to pour them into adventure survival stories; a form that also emphasizes the essential role nature plays in the original myths and legends. The Warriors Of the Sun series is written to entice non-Native American children to further explore the ways of the ancient and the rich history of the first peoples North America. I hope that one day they too will feel the presence of Thunderbird.